Bournemouth is famous for its 7 miles of beautiful sandy beaches which are popular with families. There are lots of tourist attractions in Bournemouth and nearby. View our list of comfortable, family hotels in Bournemouth and bed & breakfasts in Bournemouth or near to Bournemouth. Bournemouth's blue flag beaches have the highest standards of cleanliness and they are patrolled by lifeguards. Our Bournemouth tourist attractions page for family holiday ideas: Bournemouth Beach, Bournemouth Balloon, Moors Valley Country Park and Forest, Monkey World, Dorset Heavy Horse Centre, Landmarc Restaurant Theatre, Bournemouth Opera House, Bournemouth Oceanarium, Save Bournemouth Surf School Ltd, The Square, Bournemouth Aviation Museum, Russell-Cotes Art Gallery & Museum, Bournemouth International Centre, Bournemouth Pavilion, Bournemouth Winter Gardens, Bournemouth & Meyrick Park Golf Club. View our Bournemouth tourist information page. The Roundhouse Bournemouth Hotel is renowned for its warm, friendly and informal atmosphere in one of England's most popular seaside resorts. Just a short walk from the East Cliff Beach and Bournemouth's local attractions, theatres, restaurants and coffee shops, Roundhouse Bournemouth Hotel is the ideal family, business or leisure hotel. 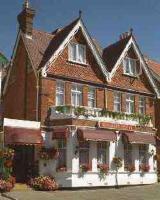 The charming Ravenstone Hotel is situated in a quiet road in Bournemouth - one of Britain's premier coastal towns. The location on the west side of Bournemouth, near to Poole, is ideal for a family holiday or short break. Open all year round, there are a number of different rooms, all from very reasonable rates, and traditional home cooked food is served and there is a fully licensed bar at The Ravenstone Hotel in Bournemouth. With a chic restaurant and swimming pool, Menzies Hotels Bournemouth - East Cliff Court offers 4-star rooms with free Wi-Fi. The hotel is situated on Bournemouth's East Cliff, with panoramic views over Bournemouth Bay. The Best Western Anglo Swiss Hotel is a traditional building situated on Bournemouth's East Cliff, within one mile of beaches and the town centre. The 64 guestrooms have bright, modern decor and furnishings in soft pastel colours. All guestrooms include direct dial phones, satellite television, tea and coffee making facilities, clock radios and bathrooms with tubs or showers, complimentary toiletries and hair dryers. The Russell Court Hotel is a four storey building with a an adjacent car park, located 200 meters from the pier and one kilometer from Bournemouth's town center. The 56 guestrooms feature light décor with wood furnishings. All include televisions, desks, coffee and tea making facilities, and telephones. Oon. The Abbey Lodge Hotel is located in Bournemouth, United Kingdom. One mile from centre of Bournemouth Two miles from Boscombe Surf Reef Seven miles from Bournemouth Beach Hotel Features. 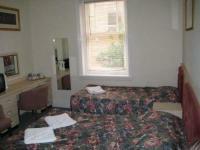 Sports Bar with plasma televisions Complimentary Internet access 24 hour front desk Guestrooms. Situated on the prestigious west cliff the wessex is oneof the leading hotels in bournemouth and a warm welcomealways awaits you with our team of friendly and professionalstaff.We offer 109 en suite bedrooms all individually decoratedand offering sky tv tea and coffee making facilities trouser press and a hairdryer. The Suncliff Hotel is located in Bournemouth, England, within 0.5 miles of the Russell Coates Museum and the Pavilion Theatre. Southampton city centre is 30 miles away, and Bournemouth train station is within two miles. Hotel Features. The ocean front Suncliff Hotel is positioned on Bournemouth's East Cliff, overlooking miles of blue flag beaches below. The Britannia Bournemouth Hotel is ideally situated close to the East Cliff with Bournemouth town centre and its shops, restaurants and bars only a short walk away. Britannia Bournemouth Hotel is near the main roads into Bournemouth and just minutes from Bournemouth's coach and train stations, so easily accessible. Welcome to the East Cliff Cottage Hotel situated on Bournemouth's popular East Cliff, minutes from seven miles of golden beaches and spectacular views of the purbecks beyond. Just minutes away from the town's vibrant nightlife and cosmopolitan shopping malls. Our licensed restaurant offers quality home cooking with imaginative menu's to suit all tastes, served by staff for whom nothing is too much trouble. The Hermitage Hotel is a grand historical hotel situated opposite Bournemouth's pier, beach and conference centre, just 120 meters from the town centre. The 73 guestrooms have traditional style decor with light oak furnishings. All guestrooms have direct dial phones, coffee and tea making facilities, wireless Internet, televisions and bathrooms with hair dryers and toiletries. With distinctive gables and turreted towers, the Royal Exeter Hotel occupies an early 19th century building 200 metres from the beachfront and the pier in Bournemouth. Combining contemporary decor with traditional Victorian elements that are in keeping with the spirit of the building, the 54 guestrooms all have satellite television, tea and coffee making facilities, telephones and bathrooms with hair dryers. A grand Georgian resort hotel set among private manicured gardens, patios and terraces, Norfolk Royale Classic Hotel stands in the centre of Bournemouth, Hampshire 800 meters from the town's beaches. Bournemouth's shops and Georgian architecture are right on the hotel's doorstops, and guests stroll to the beach and pier for windsurfing, waterskiing or exploring the seven miles of coastline. The Lynden Court Hotel is located in Bournemouth, England. 200 metres from the beach 200 metres from the town centre 30 miles from Southampton Hotel Features. Bar with pool table Complimentary breakfast Internet access (surcharge) Guestrooms. This 4-star luxury hotel is set high on Bournemouth's East Cliff, and offers beautiful views, free parking, award-winning gardens and a modern leisure centre. Its traditional restaurant is set against the striking backdrop of the sea. Cliffeside Hotel is set on Bournemouth's prestigious East Cliff, above miles of golden beaches with superb views over the Channel. 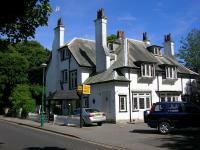 It is a classic English resort hotel, 500 metres from the sea and one mile from the town centre. Bournemouth Airport (BOH) is six miles away, an approximate driving time of 20 minutes. Hotel Features. Just 20 minutes' drive from Bournemouth Airport, The Carrington House Hotel is situated on a tree-lined street on the East Cliff of Bournemouth. There is free parking, and a restaurant offering French and English cuisine. The Belvedere Hotel is located in the seaside resort of Bournemouth, England, within 450 metres of the town centre and the beach. Bournemouth train station is one mile from the hotel. Hotel Features. The Belvedere Hotel is built in a traditional style with white painted walls and grey tiled roofs. The Ramada Encore Bournemouth is a contemporary hotel, located in Bournemouth town centre; the shopping centre, beach and pier are all less than half a mile away. Bournemouth Airport is eight miles away, an approximate driving time of 15 minutes. Hotel Features. This city centre hotel's facilities include a coffee bar where a buffet breakfast is served each morning, and a range of hot and cold beverages are available throughout the day. Built in 1909, Chalfield Manor has original arts and crafts features including panelled ceilings, a stained glass window and stone floor tiles. 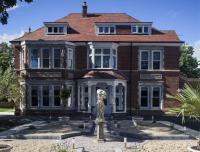 Dexter and Otilia Bree have recently finished restoring the 103 year old Edwardian villa in Boscombe to its former glory. This newly refurbished boutique hotel is aiming for a 4 star rating from the English Tourist Board. 10 luxurious double bedrooms with hand-crafted contemporary furnishings. Situated close to many excellent beaches and only a short walk to the town centre and The Bournemouth International Centre (BIC), The Durley Dean Hotel is ideally situated to make the most of your stay in Bournemouth, whether for business or on a Bournemouth holiday.The Green Room Restaurant at The Durley Dean Hotel seats a maximum of 200 guests and offers a range of British and mediterranean dishes. The Bournemouth Marriott Highcliff Hotel is a Victorian seafront hotel located high up on the west cliff overlooking the sweeping Dorset coastline adjacent to the Bournemouth International Centre; the beach and pier are 300 metres away. Bournemouth Airport is 7 miles away with an approximate driving time to Bournemouth Marriott Highcliff Hotel of ten miles. Hotel Features. Renovated to its original Art Deco splendour, the Cumberland Hotel is set on the panoramic East Cliff, above Bournemouth's seafront promenades. It is one mile from Bournemouth town centre. Bournemouth Airport (BOH) is six miles away, an approximate driving time of 15 minutes. Hotel Features. This friendly hotel has an excellent location 100 metres from the seafront and a 5-minute stroll from the town centre and Bournemouth International Centre. The family-run Kiwi Hotel serves good food and has comfy, good-value rooms. The village hotel and leisure club bournemouth is a modern and informal hotel benefitting from a broad range of eating and drinking outlets. the hotel also offers guests the opportunity to use the 25 metre swimming pool, extensive leisure suite and the health and beauty outlet. the village bournemouth is set 3 miles from the town centre, sun, sand and shopping. there is something for everyone in bournemouth.